Long time no style post. Since the last one, I've not had a good reason to show off an outfit. Partly because I have been wearing the same set of clothes; as my style goal for the year was "Wear What You Already Have". 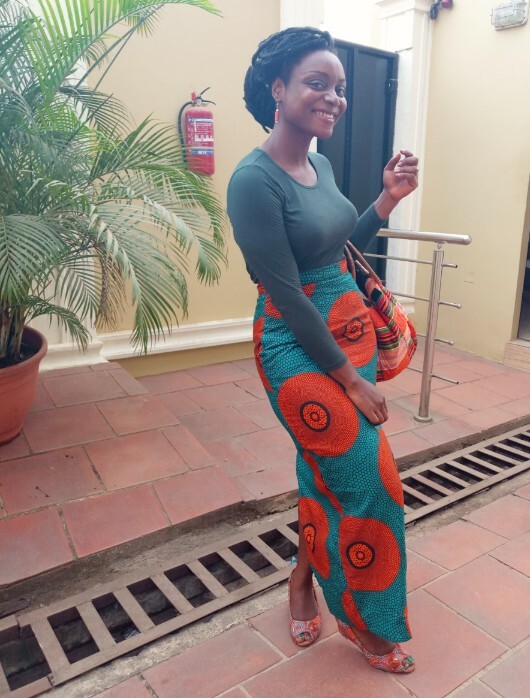 Thanks to a colleague who challenged me by saying, "Amaka, you claim you like Ankara. 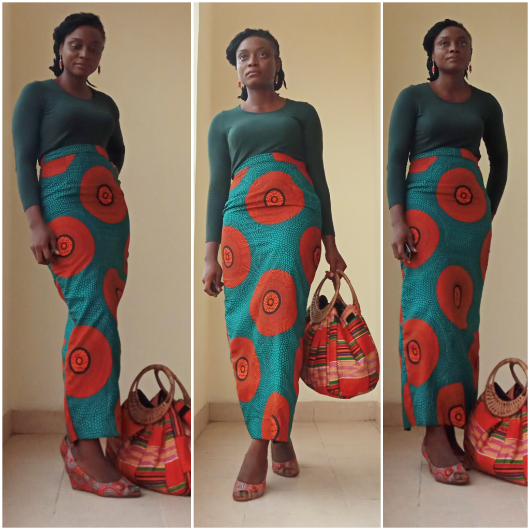 Can you wear Ankara from head to toe?" And to think that I was struggling to make this outfit look great makes it very rewarding and joyous. 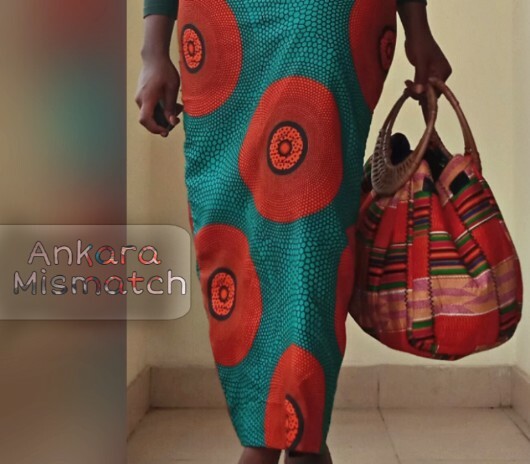 What trips me most is that none of the Ankara fabric is the same. The earrings, skirt, shoes and bags have different prints. I simply played around with green and orange platelets. What I think I normally wouldn’t do. 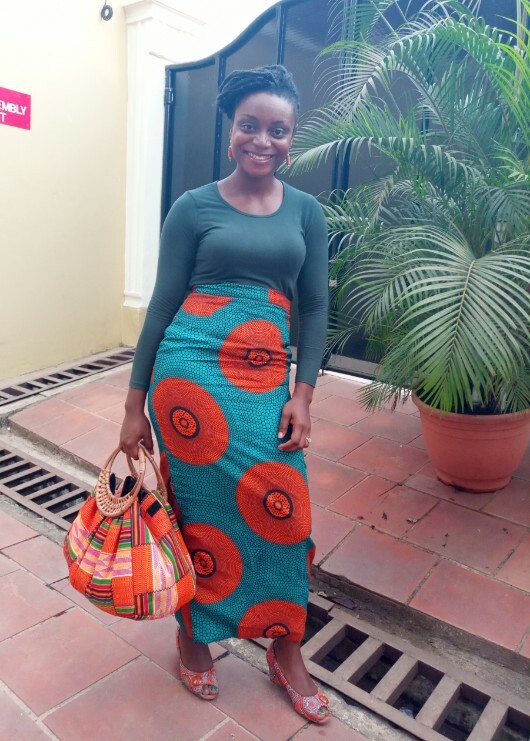 So here is the trick: If you’re wearing different printed pieces, keep some form of continuity going on by choosing prints in the same sort of colour scheme. Making sure they complement each other will help your outfit look more put together. I discovered that a head to toe printed look can have the potential to be quite busy and overwhelming. 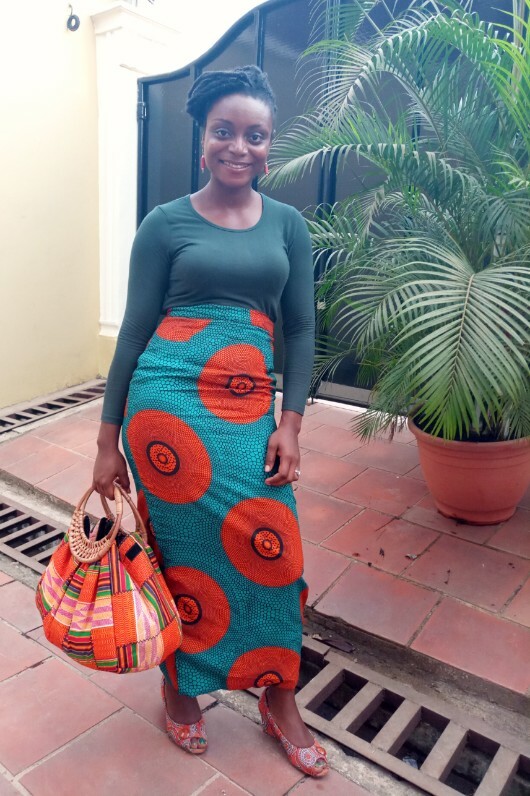 So you have to break up a head to toe printed look with something basic like a plain white top, a plain black top, or any plain top or a plan belt. This outfit was a risk and dare. 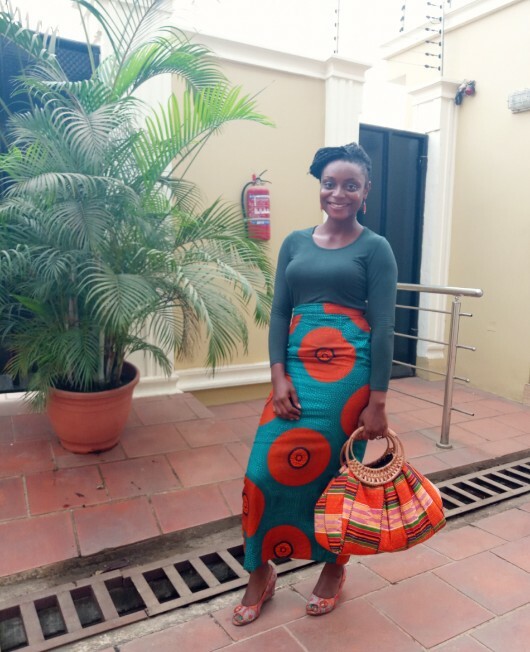 Never worn all these pieces together, however, the Ankara skirt and Ankara shoes had been worn here and here respectively. A little challenge is always fun. For sure! One thing you probably know about me is that I love a good challenge because it helps me to think outside the box and get super creative. Try these STYLE challenge too! Just because you don’t think it will work doesn’t always mean it won’t. Take up the challenge and give it a try. The outcome may be exactly what you need! When it comes to fashion styling it all comes down to trying new things, trying different options and miss match until you find the perfect match. Well at least in my opinion. This year, as regards to style, I'd be doing a lot of mixing and matching. Stay inspired. Stay positive. Stay beautiful. P.s My colleague, Mr. Wale gave me two loaves of freshly baked bread (bought from one of my favourite bakeries) for beating his challenge. Can someone challenge me again, please? Lol. Dear Diary, I'm One Month Married! Can You Choose What To Forget?